The conference continues the series of the symposia started as “Plasma and instabilities” held every third year since 1971. 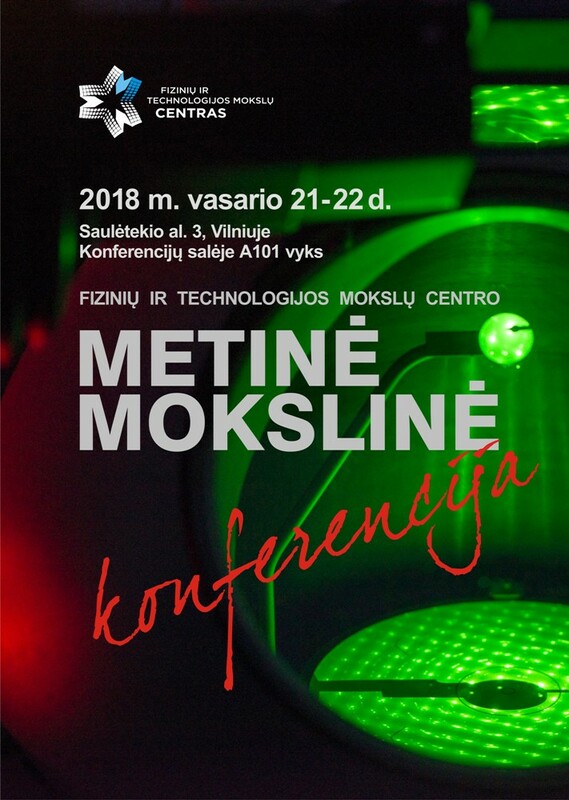 After Lithuania has regained the independence in 1990, the meeting was transformed into International Symposium on Ultrafast Phenomena in Semiconductors (UFPS), Vilnius, Lithuania. In 2016, the Center has moved to a new building located in Saulėtekis (Sunrise) avenue. Modern technological and scientific laboratories open new paths to science and innovations. Therefore, the conference also should gain new advanced topics, photonics-based scope and fresh insights reflected under new name. The conference dedicated to the 250-th birth anniversary of JĘDRZEJ ŚNIADECKI „IN THE OXYGEN ENVIRONMENT“. The conference is the place to share new results and ideas regarding fundamentals of laser-matter interaction, photo-excited processes and application, and increase networking and collaboration opportunities in a relaxing environment. 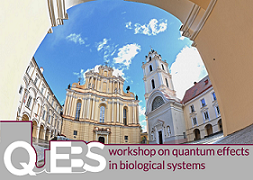 Vilnius is a city with old traditions in lasers, laser spectroscopy and technologies. Lasers and Lithuania – similarities are not only in the first letter of both words. Lasers is a fingerprint of the country and became the third religious after Christianity and basketball. Topics on new lasers for photo-excitation and applications are considered at ICPEPA 11. Research activities on photo-excitation of atoms, molecules and solids can be found in Lithuania for a long time. 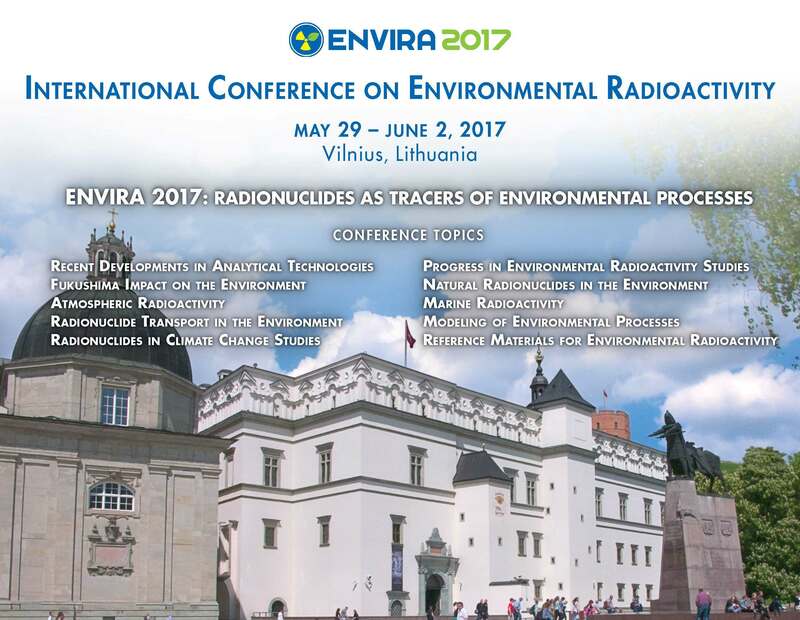 Emerging new application of photo-excited processes in „green“ energy: photovoltaics, photocatalysis; photosynthesis will be discussed. 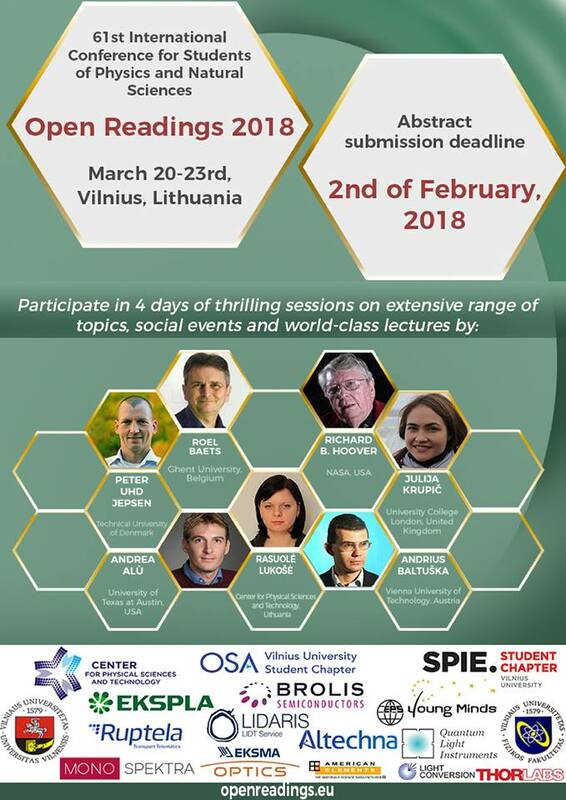 Open Readings 2018 will be held on March 20-23, 2018 at the National Center for Physical Sciences and Technology (NCPST), Saulėtekio Ave. 3, Vilnius, Lithuania. 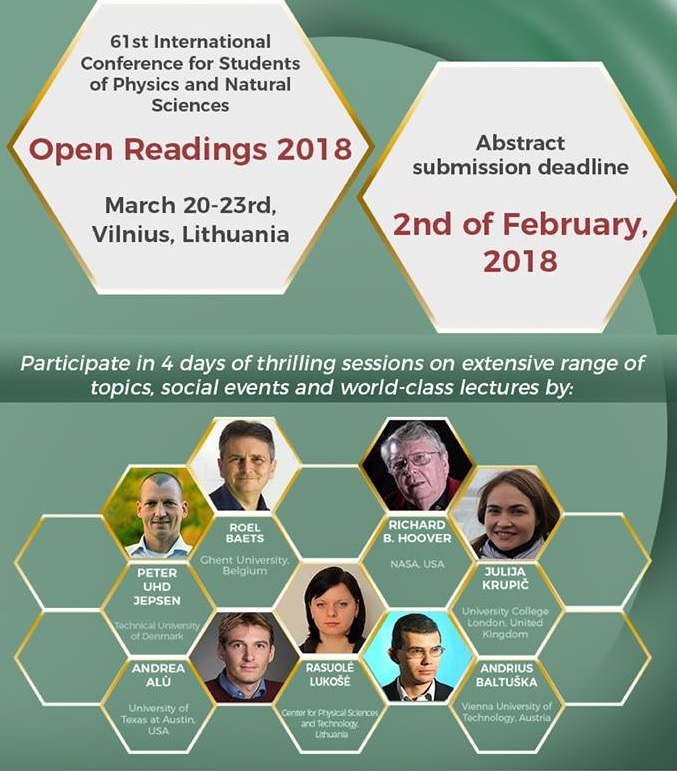 "Open Readings 2018" - is an international academic platform for students and young researchers from all over the world to present their ongoing research results and practices in the fields of Physics and Natural Sciences. 61st International Scientific Conference for Students of Physics and Natural Sciences gathers people to discuss, learn, exchange and share their scientific experience, meet key experts and enjoy exciting programme. The conference will include lectures of well-known, leading and accomplished scientists, presentations of students’ research. "Open Readings 2018" gives an opportunity for BSc, MSc and PhD students, who are doing their scientific research, to present it to a larger audience, get constructive criticism and useful advices.